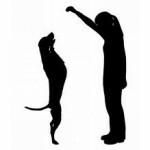 Is Dog Learning Of Words Have Some Bearing On How Children Acquire Language? People sometimes project their expectation towards animals, specifically dogs and can easily persuade themselves the animal is achieving some human like feat when in reality it is simply reading hints unconsciously given by its master. Chaser, a female dog from South Carolina, has the largest vocabulary of any known dog. She knows 1,022 noun words. Chaser is owned by John W. Piley, a psychologist at Wofford College, who taught for 30 years. After he retired in 2004, he read a report about a dog named Rico, a border collie whose German owner had taught him to recognize 200 items. 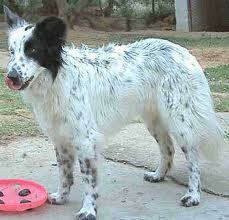 Dr. Piley repeated the experiment through his dog Chaser, also a border collie. In three years, Chaser’s vocabulary included 800 cloth animals, 116 balls, 26 Frisbees and a mixture of plastic items. 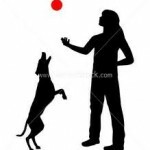 To address the question of whether Chaser understood discrete words, Dr. Piley taught Chaser to paw, nose and take an object. 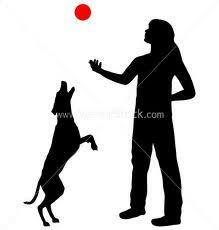 She was then presented with three of her toys and correctly pawed, nosed or fetched each one depending on the command. “That experiment demonstrate conclusively that the verb had a meaning,” Dr. Piley said. Juliane Kaminski, who works at the Max Planck Institute for Evolutionary Anthropology in Leipzig, Germany, was a member of the research team that tested Rico. She arranged for the dog to be given instructions of one room and to select toys from another, making it impossible for the experimenter to give Rico unwitting hints. Dr. Piley and his co-author, Alliston K. Reid, took the same precaution in testing Chaser. The learning of words by the dogs may have some bearing on how children acquire language, because children could be building on the same neural mechanisms. But Chaser learns to link sounds to objects by brute repetition, which is not how children learn words. And she learns her words as proper noun, which are specific labels for things rather than as abstract concepts like the common nouns picked up by children, Dr. Kaminski said. Children pick up about 10 new words a day until, by the time they leave high school, they know around 60,000 words. Chaser learned more slowly but faced a harder tasks, she had nothing to relate the words to. Dr. Kaminski would not go as far as saying that Chaser’s accomplishment are a step toward language. A step toward syntax, she said, would be to show that changing the order of words alters the meaning that Chasers ascribe to them. General Election In Thailand Forthcoming?